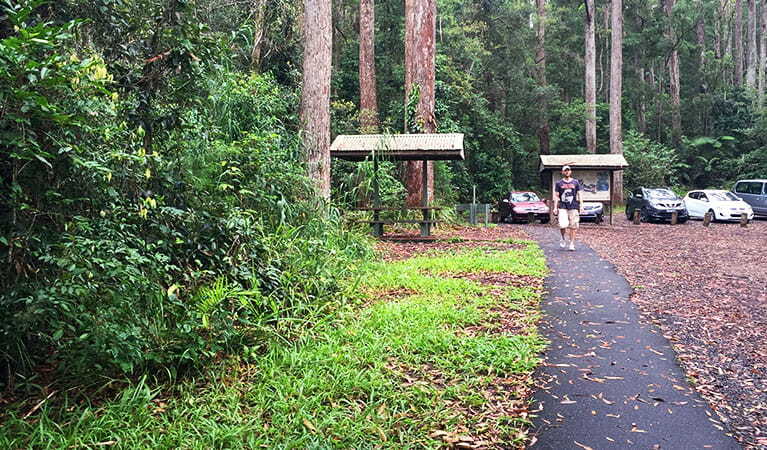 Minyon Falls lookout offers stunning views of the waterfall and rainforest. 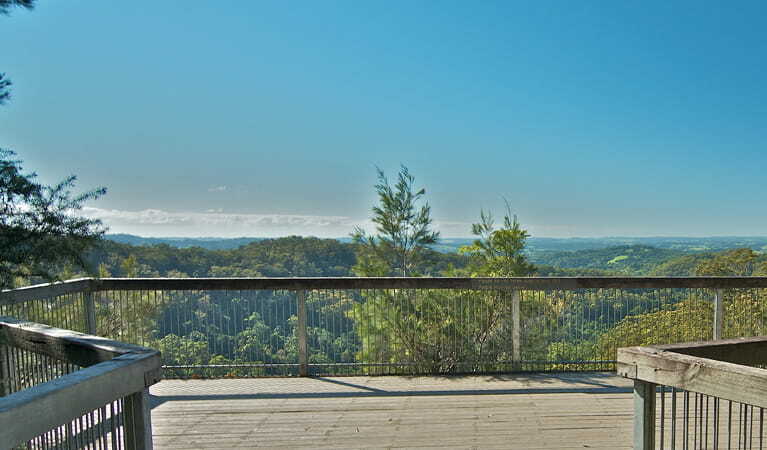 With easy parking, picnic spots and barbecue facilities, it's a great day trip location for people visiting Byron Bay. 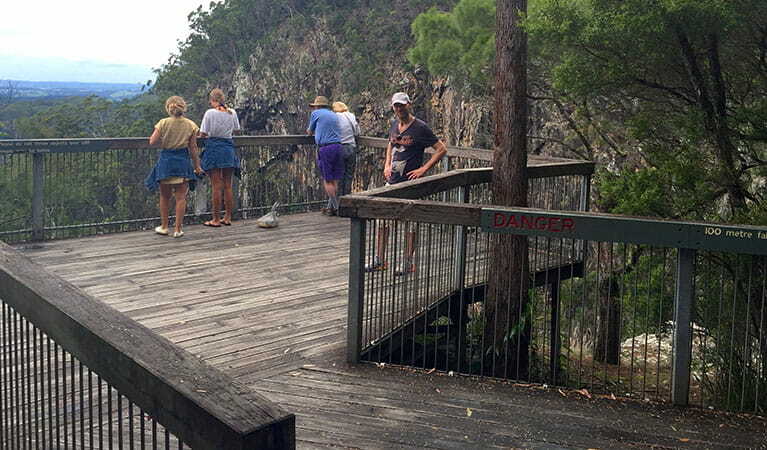 Please note there is no public access within 100m of the top of Minyon Falls. Check the weather before you visit Minyon Falls, as the falls might not be flowing strongly if you are visiting during a dry spell. They will be at its most impressive after wet weather. The view from Minyon Falls lookout is the best in the area; not only of the falls themselves, but on a clear day you might be lucky to see all the way out to the coast. 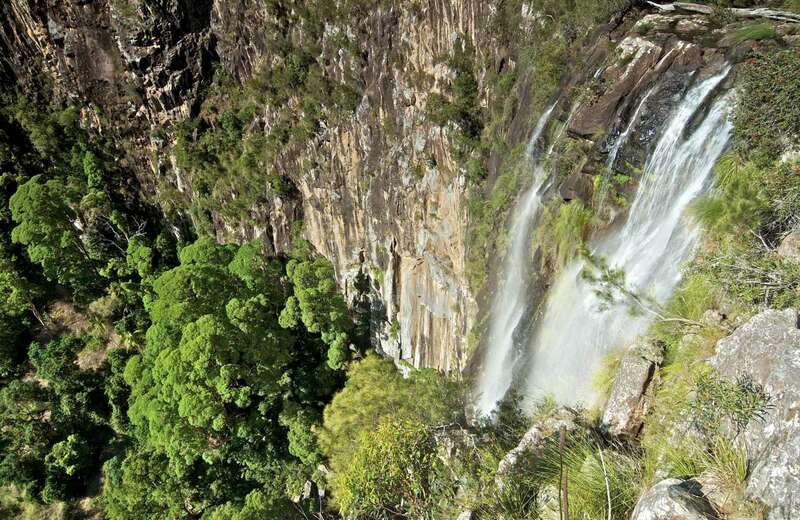 From the lookout, watch the cascades flow over Minyon Falls to a deep palm-shaded gorge roughly 100m below. The tops of the cliffs are forested with Australian eucalypts, like blackbutt and scribbly gum. At the base of the falls is a beautiful natural pool that was made for swimming. Minyon Falls is a great place for a quick stop, but if you’d like to spend longer at this pretty place, there's a picnic area with plenty of shady trees, barbecues and picnic tables. 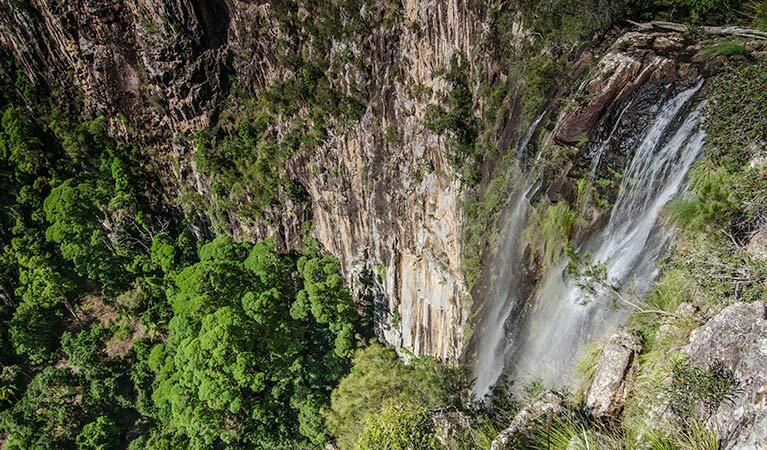 There are also a couple of bushwalks that leave from the picnic area, including Boggy Creek walk, which takes you to Rummery Park campground, and Minyon Falls walking track, which takes you down to the base of the falls. Monday, Tuesday, Thursday and Friday, 8.30am to 4.30pm. Closed for lunch, 12pm to 1pm. Nightcap National Park is open sunrise to sunset but may have to close at times due to poor weather or fire danger. Contact hours: Monday, Tuesday, Thursday and Friday, 8.30am to 4.30pm. Closed for lunch, 12pm to 1pm.